Our company is a licensed trusted partner for expert drain cleaning and we offer clients complete Plumbing in Chandler, AZ. 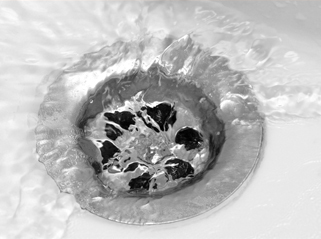 Clogged drains are really a common happening and they can really wreak havoc on your home or business. Every homeowner or business owner will often experience a severe problem with clogged drains at some point in time or another. When this problem happens, you will need a skilled partner that you can trust to promptly fix the problem to prevent clogged drains from happening in the future. We have skilled and certified Plumbing in Chandler, AZ that are armed with the right training, expertise, and plumbing equipment needed to repair a wide variety of different types of pipes and clogged drains that include kitchen sinks, bathroom sinks, bathroom showers, laundry drains and much more. We are experts at using the most advanced plumbing methods and plumbing techniques. Our technicians can quickly identify the source of the plumbing problem and then provide the customer the most efficient and money saving solution. Clogged drains can happen for a wide variety of reasons that include debris, tree roots, kitchen grease, hair, broken pipes, bad pipe installation and other types of water flow issues. Most clogged drains can promptly be fixed by our experienced Plumbing in Chandler, AZ using tools like plungers, snakes or augers. Some types of clogs may require more advanced plumbing methods including cable rooter methods or even hydro jetting. Hydro-jetting is a plumbing method of pipe cleaning that uses high velocity water pressure to clear clog from the inside wall of the pipes. Hydro-jetting offers the best heavy-duty power nozzles attached to high-pressure water for clearing pipes of blockages without causing damage to the pipe area, home, business and infrastructure. Contact us today right here by filling out our short form. We can save you time, money and hassle too.